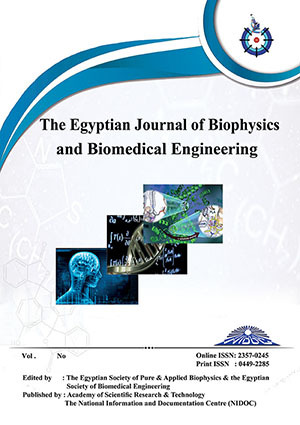 THIS STUDY aimed to investigate firstly, the oxidative stress and …..erythrocyte hemolysis due to the effect of exposure to 2450 MHz continuous microwave (MW), which is the carrier of signals emitted by cellular phones. Secondly to evaluate the possible protective role of omega–3 supplementation. Before exposure to microwaves, male rats were randomly divided into four groups, the first group was considered as control, the second group was exposed to microwave at frequency 2450 MHz alone, the third group was supplemented by omega -3 (40 mg/kg) and the fourth group was exposed to MW but supplemented by omega -3 (40 mg/kg) before irradiation. The level of Malondialdehyde (MDA), an index of lipid peroxidation (LPO), was estimated and used as a marker of oxidative stress. Superoxide dismutase (SOD), catalase (CAT), and glutathione peroxidase (GSH-Px) activities were expressed to evaluate the changes of antioxidant status. Also erythrocyte osmofragility test was assessed to determine rate by which red blood cells will undergo hemolysis. The level of malondialdehyde significantly elevated and the levels of some antioxidative enzymes significantly decreased, in addition the erythrocyte hemolysis rate increased in the MW group (second group) as compared to the control group. Oral administration of omega -3 (OT) exhibited marked amelioration of LPO, antioxidative enzymes, and rate of hemolysis which returned to normal values during the course of OT treatment. It could be concluded that OT has an obvious antioxidant effect that may be able to compensate MW-induced oxidative changes in the blood tissue by enhancing the antioxidant defense system.